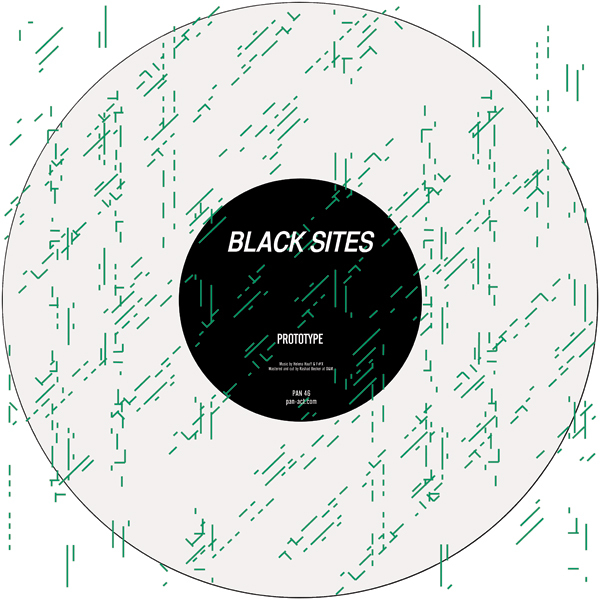 The debut 12” by Black Sites, is a collaboration between Hamburg based artists Helena Hauff and F#X. Both residents at iconic Hamburg club ‘The Golden Pudel’, Hauff and F#X are stellar repre- sentatives of an experimental approach that has earned the underground spot it’s growing reputation. Emergence is a fitting theme, as 2013 is already shaping up to be a breakthrough year for the duo. Hauff is soon to release a solo 12” on Actress’s Werkdisks label, and F#X recently releasing a dubbed out single on Pudel’s own ‘Pudel Produkte’ imprint as a member of ‘Circuit Diagram’. This is riotous and cerebral club music. The analog artifacts of A side ‘Prototype’ permutate in tandem with melodic Detroit chords, a pounding rhythm section and a central ascending 303 line. B side ‘N313P’ maintains the intense pace. Building around competing resonances, the untethered Drexciyan melodies probe, expand and contract to rapturous effect.